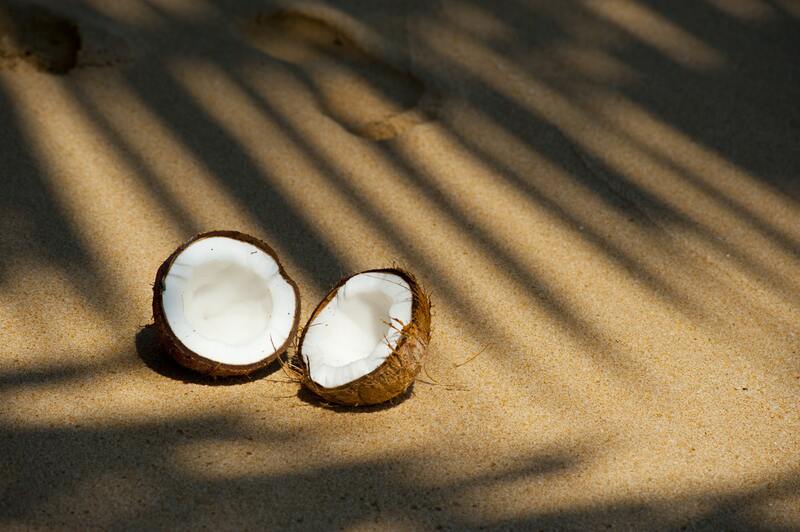 Coconut oil fixes everything.. Your skin, your hair, you relationship, your bank account.. Everything!Well, I am not the one who is saying it. But I do believe that coconut oil can solve most of your skin and hair problems (I am definitely not sure about the last two problems mentioned in the above paragraph 😝).The people of internet swear by coconut oil mainly because of its benefits for hair. It can be used as a weekly hair pampering treatment or even as a hair serum on damp hair!But how well does it work when it is infused in a shampoo along with some other great natural hydrating ingredients? 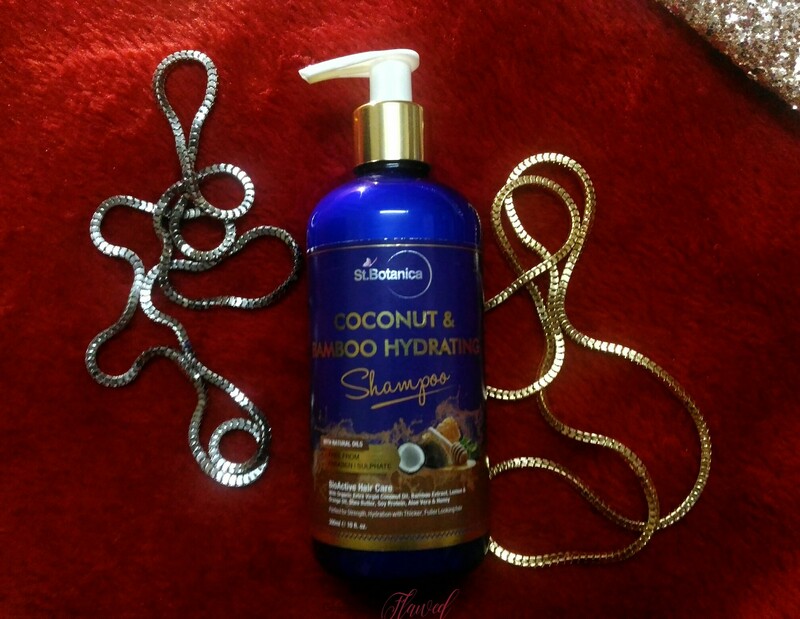 Let’s find out with the review of this St. Botanica Coconut & Bamboo Hydrating Shampoo! This 100% natural shampoo is formulated with two main natural ingredients – coconut and bamboo extracts and I believe that this St. Botanica shampoo is the best pick for dry hair! Know why by reading my full review below. Drench your curls with this rich blend of nourishing coconut oil & shea butter to enhance natural softness, while sweet organic honey boosts decadent spirals and a twist of lemon & citrus oils to tame frizz for beautiful tumbling waves with bounce and shine. This thickening blend adds body to your tresses from the bottom to the top giving you big, touchable, beautiful strands. Purified Water, Decyl Glucoside, Cocamidopropyl Betaine (Derived From Coconut)*, Sodium Cocoyl Isethionate (Derived From Coconut), Acrylates copolymer, Glycerin, Coco-Glucoside (and) Glyceryl Oleate, Propanediol, Cocodiethanolamide (Derived From Coconut)*, Ethylene Glycol Distearate, Lemon Essential Oil*, Hydroxyethyl Urea, Guar Hydroxypropyltrimonium Chloride, D Panthenol (Pro-Vitamin B5), Disodium EDTA, Polyquaternium 10, Methylchloroisothiazolinone, Organic Extra Virgin Coconut Cold Pressed Oil*, Aloe vera Extract*, Shea Butter*, Orange Extract*, Bamboo Extract*, Soy Protein*, Organic Honey*, Citric Acid.Price – Rs.749/- (currently available for just Rs.649/- on Amazon India| Quantity – 300ml | Availability – Available on Nykaa, Amazon & St. Botanica Website. Also available on Amazon Global. All the St. Botanica products come in luxurious packagings. 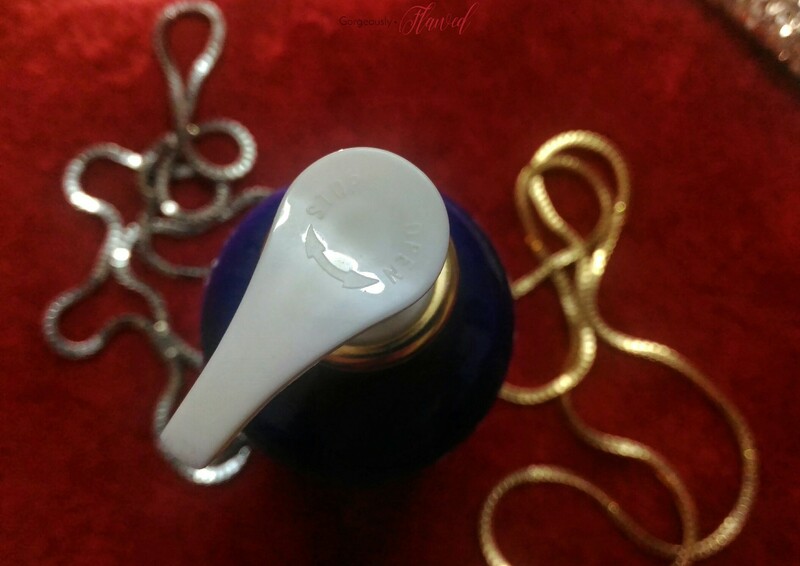 I have earlier reviewed their Facial Cleanser which came in similar kind of luxurious pump bottle packaging. The shampoo’s luxe packaging would be the first thing that will make you buy this product! It is a semi-opaque bottle through which, you will be able to see how much product is left in the bottle and place your order for a new bottle accordingly!Yep, you might end up loving the product so much that you will definitely consider repurchasing it once your first bottle is over!Although, I do want to mention that its pump, which looks quite gorgeous too with the golden rim, is a little flimsy and it may come off if you drop the bottle. Or if you have long hair and you use more than a dime sized amount of the shampoo, then you might have to press the pump quite a few times to get the right amount of the product out. This can also make the pump part come off – that’s what happened to me once.Also read: 5 Two Ingredient DIY Hair Masks For Different Hair ConcernsI didn’t notice this problem with the pump earlier when I reviewed the facial cleanser since I used to use only a single pump of cleanser at one time. All in all, the packaging is really convenient, I would just suggest being a little careful with the pump.Coconut and bamboo extracts are not the only natural ingredients in this St. Botanica Shampoo! There are a lot of nourishing ingredients from the mother nature infused in it, some of them are shea butter, organic honey, orange extract, lemon essential oil, soy protein and much more. Just go through its ingredients list and you will know that it is filled with mother nature’s goodness!You might have seen most of these natural ingredients in shampoos from other brands, but I bet that you must have never tried a shampoo with bamboo extracts in it! Well, bamboo is a type of “woody grass”. The silica found in bamboo encourages healthy hair growth by increasing the blood circulation towards your scalp. Due to the amalgamation of so many natural ingredients, the shampoo has a mixed fragrance which is mild and pleasing. The fragrance is somewhat nutty and sweet with a hint of citrus smell. Its fragrance makes my hair smell heavenly and the fragrance lasts for almost a couple of days!Being a SLS free product, it does not produce a lot of lather. Its lather is very creamy and yet, the shampoo manages to clean the hair and scalp really well. The chemical free formulation of this shampoo is gentle on the hair and scalp.Post-wash, my usually dry and unmanageable hair becomes very smooth with a natural, lustrous shine. The hydrating and moisturizing ingredients present in the shampoo beautifully enhance the texture of my hair. 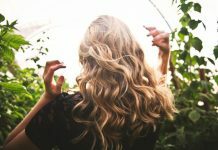 I am a huge fan of that natural shine which this shampoo adds to my hair!People with dry and dull hair would know how hard it is to get a natural shine to the hair and make it appear healthy after washing it. 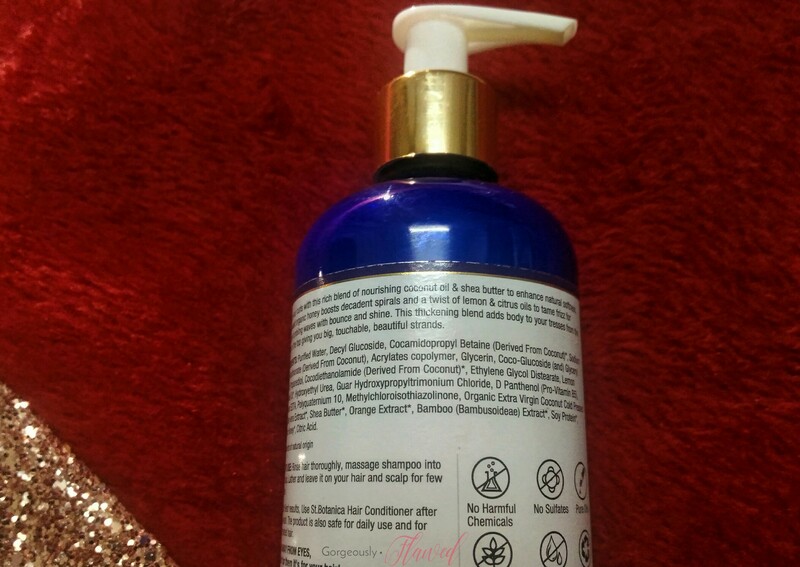 Well this shampoo does it for me and it will do it for you too – I can vouch for it! I took my sweet time to share the review of this shampoo, after I finished the whole bottle and overall, I really loved the shampoo and I would highly suggest you to try it out once especially if you have dry hair! Not just “liked”, I loved its ingredients list! All the ingredients in this St. Botanica shampoo are 100% natural. A big plus point for those who prefer to use only natural products for their hair! It cleans out the dirt and oil from hair as well as scalp thoroughly. It is a SLS free shampoo hence, it doesn’t leave my hair dry. Extremely gentle on the hair and scalp! Its fragrance is pleasing to the nose and it lingers in my hair for long. The packaging is easy to use and looks very luxurious. Suitable for all hair types, but people with dry and frizzy hair type are going to love it the most as it adds moisture and hydration to the hair – making it more manageable. Its pump section is little flimsy and it may come off if you are not careful enough. Hope you guys found this review helpful!Have you tried any St. Botanica product yet? Let me know by commenting below! Previous articleWhat Is Skin Discoloration? Be Informed & Feel Prettier!